I'll admit, I tend to be a bit critical of TV programming these days. Sure, there are some great shows, but there's also a lot of crap. Thanks, reality TV. I also don't think very highly of kids' shows, and that's an opinion I've heard echoed by my peers. "They just don't make shows like they used to." People my age reminisce about cartoons like Teenage Mutant Ninja Turtles, GI Joe, He-Man, Doug, and Rugrats, to name a few. Just between us, I've done back and rewatched parts of some of those shows...and a big part of our feeling have to do with nostalgia. And when we were younger, we watched those shows through our children-eyes. If I were a kid growing up today, maybe I'd love SpongeBob. Anyway, regardless of objective quality, one of the shows I remember most fondly from my early childhood is David the Gnome. From what I recall, it was a cartoon about this gnome who lived in the forest and would ride around on his pet fox, helping out gnomes, animals, and other creatures. There were trolls, talking beasts, and magic; pretty cool for a show aimed at little kids. A quick YouTube search shows that all of the episodes are actually available to watch there. If that's still the case when I have a family, my brood will without a doubt be getting a taste of my childhood. Apparently the show was adapted from a book, and was originally created in Spain. 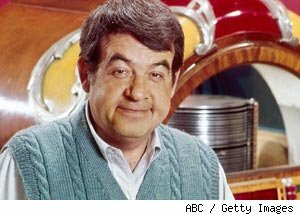 The English version starred Tom Bosley, who some of you might remember as the dad from Happy Days. According to Wikipedia, there was also a Japanese dub that ran on NHK briefly in 1991 and then on Sun Television in 2003. Unfortunately I can't find any clips of the Japanese version online, but that's still pretty cool. FYI, the Japanese title is 「森の妖精ノーム」, which means something like "The Gnome-Sprite of the Forest."